Music teachers come across many people who claim that they cannot sing no matter how much they try. Nonetheless, trainers tell them about the few things that, if implemented, can enable them to sing. Every person possesses a unique kind of voice. Categorically, there are two kinds of singers. While some singers are technically sound, some have naturally gifted beautiful voices. It is quite simple to distinguish between them as both kinds of singers have achieved fame and success in the field of music. Their distinctive voice qualities have led them to sing professionally. Since every person requires guidance for learning something new, we have jotted down certain tips that will help you master the art of singing. To be the singing star of the future, make the smartest decision when you’ve got time on your side, and look for a master, who will guide you through your path, right from the beginning. Finding the right teacher can be difficult, particularly in a competitive field such as singing training. Commencing your education in this divine art would mean fewer challenges for you in the future when you train your vocals. Professional teachers will tell you how people who’ve been training and practicing for years can find it tough to sing a Whitney Houston (it is too bad the route she chose to take) or Kelly Rowland song. They believe that this inability is explained by the fact that their early age trainees did not provide them the appropriate training with a long term perspective. 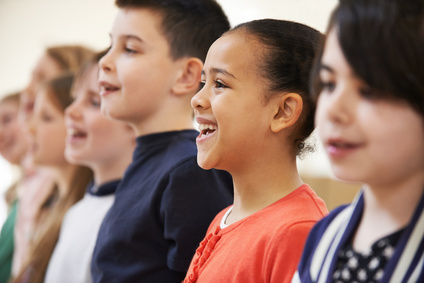 The right kind of teacher will familiarize you with all the fundamental concepts and techniques, which are essential for learning singing, even if you are not naturally gifted. When carefully examined, you will find that there are singers who cannot distinguish between singing and screaming. Albeit these are established singers who have achieved success in the field of music, they have developed a voice that sounds like they are screaming when they sing higher. Christina Aguilera is one of those singers, whom you can hear screaming as they hit the higher notes. She is also incredible to look at. It is easily noticeable when she stresses her vocal chords. Singing in this manner can damage your vocal tract and result into a damaged voice, at a tender age. Therefore, it is necessary to learn using your vocal tract effectively for producing distinctive sounds from each section of your tract. The takeaway – higher notes are ‘sung’, not ‘screamed’. To master the art of singing, you must primarily master the notes. Action point on you – practice hard to train your auditory senses by making them familiar with all the notes. As you step into the competitive domain of singing, this becomes the most important element of your training. The skill of listening and understanding notes is taught in some of the basic and primary exercises of initial singing classes, because you can automatically sing the notes correctly when you know them. It has been acknowledged that using an instrument is the most effective manner of learning sounds. We produce three kinds of voices with the help of our vocal tract – namely the chest voice, the head voice, and the falsetto. We use our chest voice while speaking, as we speak with a normal pitch. When we make use of our upper nasal cavity and the center of our head for singing, it is considered to be our head voice. Lastly, a falsetto, like the name suggests, is our false voice. We use this voice to hit notes for rhythmic purposes or because we cannot sing them, otherwise. Practicing falsetto much should be avoided as it can overpower our head voice and in some cases, become a singing habit you’d find hard to quit. Many believe that singing among the trickiest and most challenging thing to do, while in reality, it is not true. However, it is essential to acknowledge the fact that you cannot achieve a magnificent 4 to 5 octave-range voice in a month. Rome was not built in a day, after all. It requires several months, even years for achieving a two octave-range voice. While practicing singing, executing all the guidelines laid down here will help you obtain the appropriate and desired outcome. What you must keep in mind is that developing passion is a fundamental necessity of starting any kind of education. A Pink’s Eunji appeared on KBS 2TV’s ‘1 Vs. 100’ on August 18 and gave advice on how to sing well. Free Singing Tips – How To Get Rid of Mucus When Singing! Incredible Tips On How To Get Rid Of Mucus For Singing! Ken Tamplin shares A-Mazing secrets to not catching colds and flu. Ken Tamplin Vocal Academy offers the most powerful and effective singing lessons in the world. This entry was posted in Merriam School Of Music, Singing Lessons and tagged singing, singing lessons, singing tips.